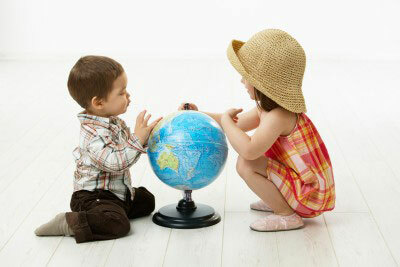 Why Choose Broome Daycare Centre? When you entrust the care of your child to us, we want you to do so with confidence. 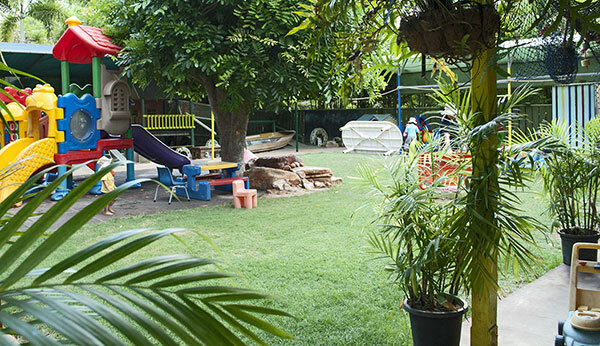 Broome Daycare Centre is the longest running day care centre in Broome. Tom and Barbara Johnston are long term owners who are dedicated to running a friendly, home run day care centre. The Broome Daycare Centre was purpose built. The 0-2 Baby’s Room has a separate kitchen, three separate inside play areas; a quiet cot room, a change room and a safe shady outdoor play area which is protected from the wind, wind and sun all year round. The 2-3 Toddler’s Room has a separate change room; large indoor play area and a fabulous large outdoor area suited to this age group. There are large rocks; a well maintained lawn area; a sandpit; a boat; a tyre mountain, a fantastic wooden fort; and lots of interesting places for children to play. The outdoor area is 80% shaded with a huge shady tree, verandas, and a large area of protective shade cloth over a huge sandpit; which is great for those hot humid days. The 3-6 Pre-Schoolers (Kindy) Room is well equipped with art activities; construction; a welcoming home corner; book and puzzle area; including sensory and educational activities. The 3-6 year old room has a well maintained shady outdoor verandah area, with climbing areas and a protected area for those projects that children want to work on over an extended period of time. The Centre has all amenities; it is licensed and it has been assessed. The Centre has long term dedicated and caring Educators and Staff. We are excited to advise all families that our Centre is running the new education format...'Belonging, Being and Becoming - the Early Years Learning Framework for Australia'. This is a much more comprehensive education program which encourages children of all ages to explore, wonder and express themselves in a socially and emotionally stable environment. Our Centre is based on the core principles and beliefs that early childhood is a unique stage in life. It is important that all children are well guided into good social behaviours; to be emotionally resilient; improved language and cognitive skills by the time they are 5 years old. It is our mission to develop all children to a stage that they are ‘school ready’ and look forward to starting school. The way we introduce the children to Early Learning is important as it is the foundation on which children will begin to build the rest of their lives. All children who attend Broome Daycare Centre are supervised at all times throughout their stay in our Centre by experienced and qualified carers. 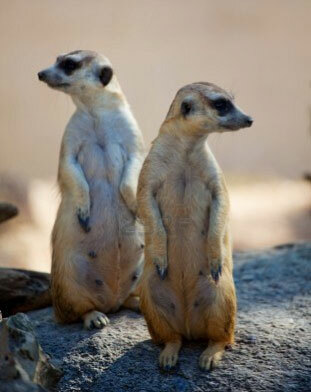 It is the Owners and the Carers Philosophy that all children will be safe and well cared for. The Centre's surroundings are well maintained and children are able to play safely within the Centre’s boundaries. All equipment is well maintained and renewed regularly. Safety checklists and audits are carried out on a daily basis. FREE Trial !! FREE Transport !! We offer a free trail when your child begins care. We like parents to spend time at the centre to assist their child to get to know the Educators and they can come in when they like and as often as they like. We provide FREE transport from your child's school to our Day Care Centre! Here at the Broome Daycare Centre our aim is to provide lots of activities that are fun, stimulating and provide social interactions that are friendly and rewarding for both the Educators and your children. See below for all our "Special Days!" For more information on the services we provide or to contact us directly to make a booking for your child click here to send us an email or phone us on Tel: (08) 91 936 775. Remember Broome Daycare Centre provides for all your child care needs...occasional care, long day care, after school care and vacation care for 0 - 6 years. 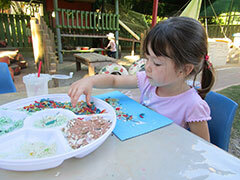 We offer a flexible program of care with occasional care, long day care, after school care and school holiday care. We decorate the Centre and have a Children’s Christmas Party each year. Santa always comes to give out the presents. We celebrate Chinese New Year – through cooking .. decorating the Centre .. parent input and dress-ups .. Face Painting. This is the Funkiest Day – Face Painting ..dress ups .. Aussie BBQ and lots of Aussie Stuff. We also celebrate our Aboriginal Culture on this day too. Yellow Flowers .. Yellow Balloons A yellow dress up day, with yellow face painting! Easter Eggs .. Easter Chocolates .. Colouring In Competition .. Face Painting .. Balloons .. Easter Bunny comes to hand out Easter Eggs .. an Easter Egg Hunt and lots of Fun! Library Excursions .. Movies .. Popcorn .. Face Painting .. Water Fun Day .. Balloons! Aboriginal Celebrations .. there is music .. Traditional Bush Foods .. Artefacts .. Face Painting .. balloons and much more. We have a visit from a Dental Nurse .. posters about dental health and fun tooth brushing activities. We have Dragons .. Dragon races .. face painting .. yummy spring rolls and fried rice .. lots of balloons and fun dress ups. On this day we have a Pirate Day. The children paint their own bandannas with fabric paint. We have Face Painting, a Treasure Hunt, Chocolate Monies and treasures for everyone! There is lots of AAAARGHHHHH going on! Our aim is to have a Centre where equipment and toys are cleaned regularly. We educate the children to develop excellent hygiene skills including washing their hands after going to the toilet and before eating, after blowing their noses and to cover their mouths if they are coughing. Children are well cared for and the Educators are careful to ensure that their cleanliness is of a high priority. Good hygiene is necessary when nappy changing, ensuring children's hands are washed when their nappy has been changed.